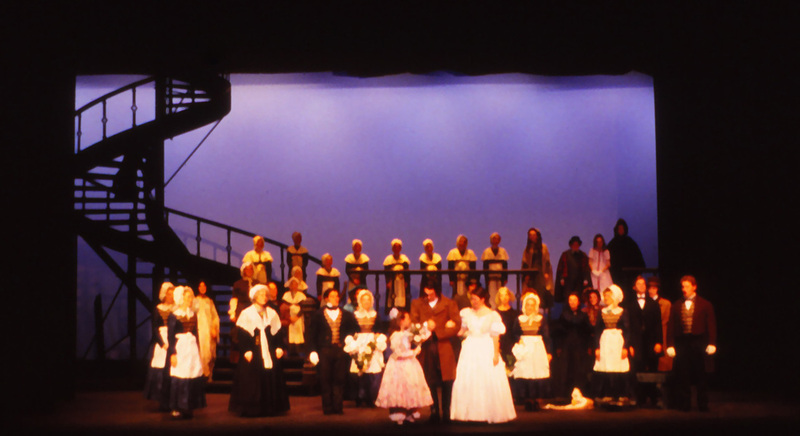 In this musical, directed by Barta Heiner on the deJong Concert Hall stage at Brigham Young University, the concept was to develop the multiple scenes in one simple environment with scenic elements that rolled in amid curtain layers. 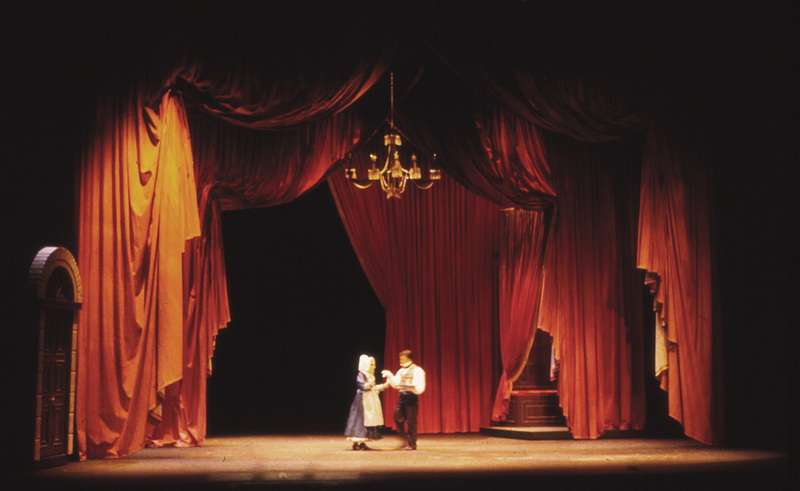 Lighting needed to paint the curtains, dust the scenic pieces and pin spot the action amid all the moving elements. 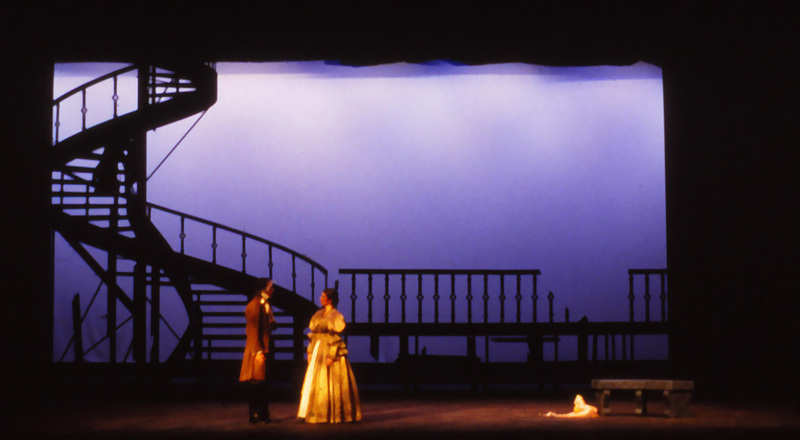 It also silhouetted the strong skeletal shapes of the massive staircase and raised platform at the back of the stage.